Chestnut Cottage - A two bedroom cottage located in an enviable spot, in the grounds of Arniston House - a William Adam mansion set in acres of beautiful parkland. Chestnut Cottage sleeps 4. Chestnut and Lime Cottages form part of the old Forrester's Cottages that are situated on the stunning Lime Avenue Drive of Arniston House. The properties are south facing terraced cottages and have been decorated and furnished with a truly contemporary twist. Hidden away in a tranquil courtyard with views over farmland to the north and a courtyard to the south, these renovated cottages offer a real opportunity to relax and explore the surrounding area as well as the grounds of Arniston House during your stay. We welcome pets to Lime and Chestnut Cottages. Visitors enjoy the best of both worlds staying in beautiful grounds in the tranquil countryside but central Edinburgh is just short trip away. Nearby there is Vogrie Country Park, Rosslyn Chapel, Temple Village, The Scottish Mining Museum and, for biking enthusiasts, Glentress Biking Trails all within easy access. Local pubs, restaurants, cafes and shops are all a short drive away. An 11 mile trip to Edinburgh's first class art galleries and museums, the capital's eclectic mix of restaurants and bars plus its boutique shopping experience all adds up to a great day out. Alternatively fishing, shooting, estate tours or a private tour of the house can be booked on request. 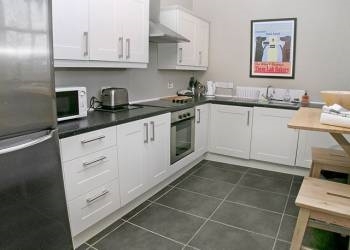 The ground floor comprises of a fully fitted modern kitchen, sitting room with log fire, TV and DVD player. 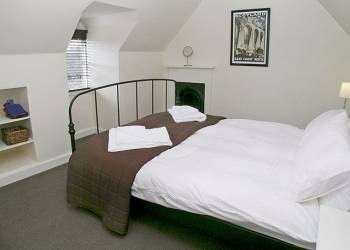 One double bedroom is situated downstairs. Upstairs is the family bathroom with shower over bath and a further double bedroom. 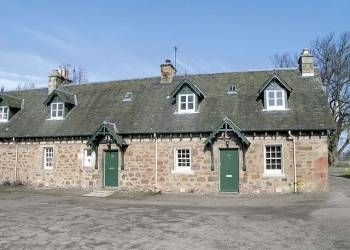 Arniston Estate has four holiday properties available to rent.